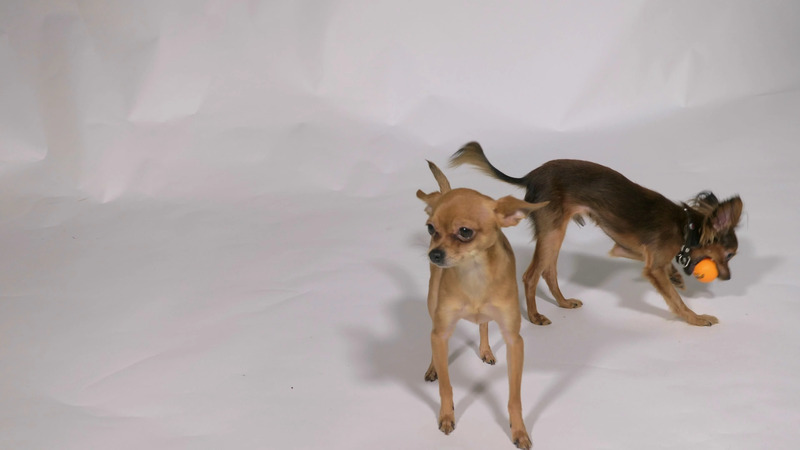 Two Dogs Playing Indoors, White Gray Background. Description: Two dogs playing indoors, white gray background. Toy Terriers play with balls and with each other.